Grand AM5T-10849-CF; 2006 Cockpit 4M5T-10849-GR Bj; 2011 Cockpit AM5T-10849-CK Bj. 03 04 05 3W7F-10849-DD; 03-05 4w73-10849-da; 2002 131K 1W7F-10849-AA B9 5612; 03 04 3W7F-10849-AA OR AB; 2009 4.6L PLUG 9W73-10849-CA. 11 12 BC2T-10849-AE; 11 12 13 BC2T-10849-CE. Super Duty 2002 KPH 2C24-10849-EA. 2008 8T4T-10849-CC; 09 10 9T4T-10849-AA; 09 10 9T4T-10849-EA; AT4T-10849-CA 926695; CT4T-10849-CA thru CF; 2007 (TMU) 7T4T-10849-AG; 2007 2008 8T4T-10849-AA and AB; 2007 2008 7T4T-10849-AG; 2007 2008 8T4T-10849-CA and CB; 2007 2008 7T4T-10849-AD-AG; 2007 2008 8T4T-10849-AA and AB; 2007 2008 8T4T-10849-CA and CB; 2008 8T4T-10849-EA and EB; 2013 -10849-NA; 7T4T-10849-AD thru AG; 8T4T-10849-AA and AB; AT4T-10849-CA 10. 2L84-10849-AA & AB 2002; 2L84-10849-AA 01-02; 2L84-10849-AA and AB 01 02; 3L8T-10849-AA & AB 2003 2004; 3L8T-10849-AC 04; 3L8T-10849-BA and BB 03 04; 3LB-10849-AC 2004; 5L8T-10849-AF 05; 5L8T-10849-AJ 2005 3.0; 5L8T-10849-AL thru AN 05 06 2007; 5L8T-10849-AM 05 2006 2007; 5L8T-10849-AN 2007; 5L8T-10849-RM thru RP 05 2006 2007; 6L8T-10849-AA and AB 2006 2007; 6L8T-10849-AB 06-2007; 6M64-10849-AB and AC 2006 2007 hybrid; 8L8T-10849-DG 3.0L; 8L8T-10849-F 3.0L; 8L8T-10849-FB 2008 3.0L; 9L8T-10849-CE 09; 9L8T-10849-GA 3.0L; AL8T-10849-GA 3.0L; AL8T-10849-HA 2010 non-hybrid; BL8T-10849-CA 11 12; BL8T-10849-CB MILEAGE 2011 2012; DJ5T-10849-VA thru VF 13 from 12/03/12; YL8F-10849-AJ thru AL 01 02; YL8F-10849-AL 01-02; YL8F-10849-BJ thru BL 01 02; YL8Z-10849-JA. 154F-10849-DA 1999 2001 2002; 1S6F-10849-KB fiesta; 55KW 98FB-10849-CE; 70AB-10849-ADA; 95-99 96FB-10849-EA Fiesta IV (JA-JB) Bj; 95AB-10849-HA VII GAL 1.8; 95AB-10849-MA VII; 96AB-10849-CA; 96FB-10849-CA 1.3 1.4 95-99; 96FB-10849-CC 7 VII Kombi; 96FB-10849-CD 95-99; 96FB-10849-CE 7 VII 6L 66kw; 98AB-10849-KB fiesta; X54F-10849-FA 1998-2002; YS4F-10849-MB 1995-2001. 5L1T-10849-BC; 5L1T-10849-BL 05; 5L1T-10849-DC; 5L1T-10849-DG 05-2006; 5L1T-10849-DL 05 2006; 5lL1T-10849-BL 05 2006; 6L1T-10849-BC 06; 6L1T-10849-DD 05 2006; AL1T-10849-AE 2010 2011; YL3F-10849-CA 2000 5.4L 4X4. 1L2F-10849-AG 02; 1L2F-10849-CJ 02-05; 1L2F-10849-ND 01 02 03; 3L2T-10849-AC 03-05; 3L2T-10849-AD 03-05; 3L2T-10849-CC; 3LT2-10849-AC 03 2003; 4L2T-10849-LF 04 05 4 Dr Sport Trac; 4L2T-10849-LH 2004 2005; 5L2T-10849-AA 04 05; 6L2T-10849-BA thru BM 06 2007; 7A2T-10849-AH thru AS 2007 sport trac; 7L2T-10849-BE 2006 2007; 8L2T-10849-AA 2008 sport trac; 8L2T-10849-AB 2008 sport trac; 8L2T-10849-EA 06-09; 9L2T-10849-GA GB and GC sport trac; AA2T-10849-AA 2010 ; BB5T-10849-GF 2011; F37F-10849-KC I U2 BJ93 4 0L 121KW; F77F-10849-EF 4.9 V6. 4L34-10849-AH thru AM 04 XLT; 4L34-10849-AN 05 pickup XLT; 4L34-10849-CN 05 pickup FX4; 4L34-10849-EH thru EM 04 05; 4L34-10849-EN pickup; 4L34-10849-GL 04; 5L34-10849-AB and AC 04 05 XL; 5L34-10849-AB and AC pickup XL; 5L34-10849-DB and DC 04 05 KPH FX4; 5L34-10849-GB and GC 04 05 STX; 5L34-10849-GB and GC pickup STX; 6L34-10849-AA thru AC 2006 XLT; 6L34-10849-AD and AE 2006 XLT; 6L34-10849-AD and AE pickup XLT; 6L34-10849-AD and AE XLT; 6L34-10849-AD pickup STX XL; 6L34-10849-GD and GE 2006 STX & XL; 6L34-10849-NC and ND 2006; 6L34-10849-XA and XB pickup XLT; 6L34-10849-XC and XD 2006 XLT; 7L34-10849-CAA and CAB 2007 2008 FX2 FX4; 7L34-10849-DAA and DAB 2007 2008 KPH FX2 FX4; 7L34-10849-GC GD &GE 2007 pickup; 8L34-10849-AA 2007 2008 pickup; 8L34-10849-NA 2008 pickup; 9C2T-10849-AP 09; 9L34-10849-AB thru AK 09 STX and XL; 9L34-10849-AL and AM 09 STX XL; 9L34-10849-GL and GM pickup FX4; 9L34-10849-RL and RM 09 STX XL; 9L34-10849-VA thru VG 09 XLT; 9L34-10849-VH & VJ 09 pickup XLT; AL34-10849-BAA 2010 pickup STX and XL; AL34-10849-BGA 10 pickup XLT; AL34-10849-BRA 2010 STX and XL; AL34-10849-BVA 2010 XLT; AL34-10849-GA thru GG 2010 XLT; AL34-10849-RA thru RG 2010 STX and XL; BL34-10849-CA pickup STX and XL; BL34-10849-JA thru JF pickup XLT FX3 and FX4; CL34-10849-AA thru AC 12 pickup STX & KL; FX4 5L34-10849-CB and CC 04 05; VL3F-10849-CA 5.4 Auto; XL3F-10849-BC. 9C3T-10849-EEC 09 2010 Super Duty; 6C3T-10849-GD 2006 2007 Super Duty AT; 6C3T-10849-YB 2006 2007 Super Duty diesel AT; 6C3T-10849-CA 2006 Super Duty AT; 6C3T-10849-EA 2006 Super Duty diesel AT; DC3T-10849-GB (F350) 2010 -2011; 6C2T-10849-A (F350) Super Duty Truck 2006 Gas; 9C31-10849-GB SD Diesel 2009; 6C3T-10849-NA Super Duty 05 2006 diesel MT; 8C3T-10849-CB Super Duty 2008 diesel AT; AC3T-10849-EC Super Duty AT; AC3T-10849-GB 2010 SD; 6C3T-10849-EA Super Duty diesel AT; BC3T-10849-CAB SD 2011 11 auto trans 6.2L V8. 7C2T-10849-AC 2007 Super Duty 5.4L; 8C3T-10849-BGC 2008 Super Duty diesel AT; AC3T-10849-EC SD 2010; AC3T-10849-GB 2010 SD; AC3T-10849-RC 2010 diesel AT; SD pickup XC34-10849-BD; SD pickup XC3F-10849-BE; XC3F-10849-BE Super Duty 99 2000 01. 16F-10849-KB cockpit; 1S6F-10849-KA cockpit; 2S6F-10849-JE 1 3 44 KW 60 PS 11.01; 2S6F-10849-JF; 2S6F-10849-JF 1 3 44 KW 60 PS 11.01; 2S6F-10849-NF Fusion Visteon; 4S61-10849-FD NEU Fusion 2001-2008; 4S6F-10849-EA 1.4 Visteon; 4S6F-10849-EA Fusion; 4S6F-10849-EC cockpit; 4S6F-10849-EC V JD3 Sport 1.6l; 4S6F-10849-GA; 4S6F-10849-JA – Visteon 5 JD JH - 1 4L TDCI - KI; 4S6F-10849-JA 1 4 50 KW 68 PS Diesel 11.01-; 5S6Y-10849-AC 02-2005; 6S6T-10849-(368) JH1; 6S6T-10849-AE Visteon; 6S6T-10849-AF cockpit; 6S6T-10849-AF fusion; 6S6T-10849-AF Visteon 2006-2008 51/69 1.3L; 6S6T-10849-CB Diesel 05 Cockpit; 6S6T-10849-EE Bj.2007 Cockpit Fusion; 6S6T-10849-HE Diesel; 84FB-10849-EA FBD Bj 1986; 87FB-10849-AA II (FBD ) Bj 83-89; 89FB-10849-BC Courier; 8A6T-10849-AE VII 1.25 MK7; 8A6T-10849-AH Bj.09 1.3 A809; 8A6T-10849-BD 2008; 8A6T-10849-BK VII; 8A6T-10849-CB diesel 2008; 8A6T-10849-CD VII MK7 MK 7; 8A6T-10849-CH VI JA8; 8A6T-10849-CL diesel; 8A6T-10849-CP MK6; 8A6T-10849-DE VII; 8A6T-10849-DL 2010 ; 8A6T-10849-DP MK7 VII; 8A6T-10849-EC bj08 2008; 8A6T-10849-EG Bj.09 1.3 B758; 8A6T-10849-EL MK7; 8A6T-10849-FG VII; 8A6T-10849-GC VII MK7 diesel; 8A6T-10849-GD VII MK7 MK 7; 8A6T-10849-GG gh; 8A6T-10849-HH 2010 ; 8U6T-10849-BN MK6 2008-2012; 92FB-10849-KA III GFJ Bj.89-95; 94FB-10849-BC III GFJ 89-95; 94FB-10849-BD III GFJ Bj.89-95; 94FB-10849-DC; 94PB-10849-BD III (GFJ) 1.1; 95FB-10849-JA; 96FB-10849-AC IV; 96FB-10849-AD; 96FB-10849-AE; 96FB-10849-EE IV (JA-JB) Bj 95-99; 97 96FB-10849-AD; AE8T-10849-12K 2011; AE8T-10849-EA thru EG 11; AE8T-10849-GA thru GG 11; AE8T-10849-GH 11; AE8T-10849-JB and JC 11; AE8T-10849-LB and LC 11; CE8T-10849-AA AB and AC 12; CE8T-10849-CA CB and CC CL 12; CE8T-10849-CC 12; DE8T-10849-CA and CB; Y6SF-10849-AF IV (JA_JB); YS6F-10849-AG JBS 2000-02 1 3L 37KW; YS6F-10849-BH 1999-2001; YS6F-10849-ED Bj.2002 Puma. 5G1T-10849-EN 3.0L AT 2005; 5G1T-10849-EV 2005; 5G1T-10849-GE 2005 SEL; 5G1T-10849-JD 05 SE; 6G1T-10849-AA thru AC 2006 SE; 6G1T-10849-AA thru AC SE; 6G1T-10849-CA 2006 SEL; 6G1T-10849-CB 2006 SEL; 6G1T-10849-DA 2006; 6G1T-10849-EA 05-2007; 6G1T-10849-EB 2006; 7G1T-10849-CA thru CC 2007 SEL; 7G1T-10849-EA thru E 05-2007. 2010 AA8T-10849-CA thru CH; 2013 DA8T-10849-14K. 1K 6S4T-10849-BA 2006 2007; 1M5F-10849-BA / 98AP-10A855-AB 2004; 1M5F-10849-BA 02 03 04 SVT; 1M5F-10849-HB 2000 01 03 04; 1M5F-10849-PA Bj.2001 Diesel D533; 1M5F-10849-PA I 01-04 TDdi 1 8 55KW; 1M5F-10849-PB 98 1 8 TDCi; 1M5F-10849-PC I 01-04 TDCI 1 8 85KW; 1M5F-10849-VA Bj.2001 1.8 TDCi Cockpit D673; 1M5F-10849-VB 02.1999-11.2004 85/115 1.8 TDCi; 1M5F-10849-VC I BJ03 TDCi 1 8 74KW; 1M5F-10849-VD 1 Diesel; 2M5V-10849-EB cockpit; 3M5T-10849-EF C-Max bj03; 3M5T-10849-EH Bj.2004 d383 C-Max; 3M5T-10849-EJ Bj.2004 d382 C-Max; 3M5T-10849-GJ 1 6 TD C-Max; 3M5T-10849-GK Bj.2004 Diesel d389 C-Max; 3S4T-10849-BF 2001 2002 2003 2004; 3S4T-10849-BG 03 04 SVT; 3S4T-10849-GA 01 02 03 04 SVT KPH; 3S4T-10849-JA 03 04 SVT; 3S4T-10849-PA 03 04 SVT; 3S4T-10849-SA 03 04 SVT; 3S4T-10849-VB Hybrid 03; 3S4Y-10849-BA; 4M5T-10849-BL II; 4M5T-10849-BM Bj.2006 Cockpit C-Max; 4M5T-10849-EK Bj.2005 d378 C-Max; 4M5T-10849-EM C-Max 2.0i; 4M5T-10849-EN cockpit 62tkm C-Max; 4M5T-10849-EP Bj.05 D33 C-Max; 4M5T-10849-ER cockpit C-Max; 4M5T-10849-ES cockpit C-Max; 4M5T-10849-FR II 1.6i; 4M5T-10849-GM cockpit C-Max; 4M5T-10849-GP Bj.2007 Diesel d387 C-Max; 4M5T-10849-GR Bj.2006 Diesel d390 C-Max; 4M5T-10849-GR Bj.2006 Diesel d391 C-Max; 4M5T-10849-HN II 1.8 TDCi; 4M5T-10849-HR II Diesel; 4M5T-10849-JJ Bj.2004 D598 C-Max; 4M5T-10849-KM II 2 1.6i; 4S4T-10849-BC thru BJ 05; 4S4T-10849-FE thru FJ 05; 4S4T-10849-FE thru FJ 05; 4S4T-10849-FJ 05; 4U7T-10849-DN II Diesel; 4U7T-10849-JS 1 6 85 KW 115 PS 2008.04-03.2007 C-Max; 6M2T-10849-DJ S-MAX 1.8TDCi; 6M5T-10849-NF Bj.05 2.5 Lt C204 C-Max; 6M5T-10849-PF; 6M5T-10849-PG Bj.2006 Cockpit C-Max; 6S4T-10849-39K 2007; 6S4T-10849-AA 2006 2007 KPH; 6S4T-10849-BA 2006 2007; 6S4T-10849-DA 2006 2007; 6S6T-10849-ED Bj 05 Fiesta Cockpit; 7M5T-10849-EB Bj.2007 d377 C-Max; 7M5T-10849-EB cockpit C-Max; 7M5T-10849-GB 7M5T-10849-GB C-Max Visteon; 7M5T-10849-GB Bj.2007 Diesel Cockpit C-Max; 7M5T-10849-HB II Diesel; 7M5T-10849-LB 1 6 80 KW 109 PS Diesel 11.04 Kombi DAW; 8S4T-10849-BD thru BL 2008; 8S4T-10849-BN 2008 3K; 8S4T-10849-DE thru DM 2008; 8S4T-10849-DP 2008; 8S4T-10849-FD thru FL 2008; 8S4T-10849-FN 2008; 8S4T-10849-HA 2008; 8S4T-10849-KA 2008; 8V4T-10849-EF cockpit C-Max Mondeo mk4; 8V4T-10849-EH II DA3; 8V4T-10849-FE II; 8V4T-10849-FF C-Max; 8V4T-10849-FH; 8V4T-10849-GF 2008 II DA3 1 6 TDCI; 8V4T-10849-GG II Facelift DA3 2.0 TDCi; 8v4t-10849-gj cockpit C-Max; 8V4T-10849-GK Bj.09 Diesel D36 C-Max; 8V4T-10849-HE; 8V4T-10849-HK cockpit C-Max; 8V4T-10849-JJ Bj.2009 D531 C-Max; 8V4T-10849-LJ cockpit Kuga; 98AB-10849-CF; 98AB-10849-CG 98AB-10849-CG 1 4L 16v - KI; 98AB-10849-CH Bj.1999 D534; 98AB-10849-CJ – Visteon 1 4L 16v - KI; 98AB-10849-DF Cockpit Bj.98; 98AB-10849-FF thru FJ 2000 01 02 03 04 SVT; 98AB-10849-FG 2000 01 02 03 04 EXCLUDE SVT; 98AB-10849-GF 2000 01 02 03 04 SVT KPH; 98AB-10849-HF thru HK 2000; 98AB-10849-HH thru HK 01 02 03 04 SVT; 98AB-10849-JE 1.8 Diesel; 98AB-10849-JF 1 I - 1 8L TDDi; 98AB-10849-JG Bj.1999 1.8 Diesel Cockpit; 98AB-10849-JH 1 6 74 KW 100 PS 10.98-11.04; 98AB-10849-JK Bj.2008 1.8 TDCi Cockpit D675; 98AB-10849-KG 99; 98AP-10841-BC; 9S4T-10849-AA thru AD 09 KPH; 9S4T-10849-BA thru BD 09; 9S4T-10849-BD 2009; 9S4T-10849-BE and BF 09; 9S4T-10849-DA thru DD 2009; 9S4T-10849-FA thru FD 2009; 9S4T-10849-FE and FF 09; 9S4T-10849-FE and FF 09; AS4T-10849-BA thru BD 2010 11; AS4T-10849-BC 2008-12; AS4T-10849-BD 10-11; AS4T-10849-FA thru FD 2010 11; AS4T-10849-FC 10-11; AS4T-10849-FD 10-11; BM5T-10849-AN Fiesta cockpit; BM5T-10849-BU 2011-2012; BM5T-10849-DJ 11 1.6 TDCI; BM5T-10849-FH; CM5T-10849-CSB 2012-2013; CM5T-10849-CTB & CM5T-10849-CTC 13 TUBO; CM5T-10849-RA thru RU 12; CM5T-10849-RT 2012; CM5T-10849-SA thru SU 12; CM5T-10849-TA thru TV 12; CM5T-10849-VA thru VU 12 KPH; KUGA 8V4T-10849-GK C-Max; YS4F-10849-DD 2000 KPH; YS4F-10849-EA thru EC 2000 KPH; YS4F-10849-FB 01 02 03 04 KPH; YS4F-10849-FC 2000; YS4Z-10849-FD. 3F2T-10849-AH & AJ 04; 3F2T-10849-BH thru BL 04; 3F2T-10849-CH and CJ 04 KPH; 5F2T-10849-AA thru AD 2005; 5F2T-10849-BA thru BD 05; 5F2T-10849-CA thru CD 05 KPH; 6F2T-10849-AD thru AG 2006 2007; 6F2T-10849-AH 2006 2007; 8F2T-10849-AJ 666R. 5F9T-10849-AJ thru AX 05 SE thru 12/2007/04; 5F9T-10849-EV 05; 5F9T-10849-LA LD and LF 05 SEL; 5F9T-10849-NC and NE 05 SE from 12/2008/04; 6F9T-10849-AA 2006 SE; 6F9T-10849-AB 2006 SE; 6F9T-10849-CA 2006 SEL; 6F9T-10849-CB 2006 SEL; 6F9T-10849-DA 2006 KPH SEL; 6F9T-10849-EA 2006; 7F9T-10849-CC 2007 SEL; 7F9T-10849-EC 2007. 2S6F-10849-JE; 2S6F-10849-KF 2002 1.6; 2S6F-10849-MG 2 /02-2007 1.4 semi-automatic; 4S6F-10849-EA; 6E5T-10849-AB thru AG 2006 2007; 6E5T-10849-BB thru BG 2006 2007; 6E5T-10849-BC SE 2007 3.0L AT; 6E5T-10849-BG 2006-09; 6S6T-10849-AF Fiesta 2006; 6S6T-10849-EE 1 4 59 KW 80 PS 2008.02-; 7E5T-10849-AD 2007; 7E5T-10849-BD 2006-09; 8E5T-10849-AB thru AD 2008 09; 8E5T-10849-AD 2008 2009; 8E5T-10849-BB thru BD 2008 09; 8E5T-10849-BD 2008-09; 9E51-10849-BA 09; 9E51-10849-BA 2009; 9E51-10849-CA 09 KPH; 9E61-10849-BA 09; AE5T-10849-DA thru DE 2010 non-hybrid 2.5L AT; AE5T-10849-DF (2010-2012) 2.5L VIN A 8th digit AT; AE5T-10849-GF 2010 non-hybrid 3.0L and 3.5L AT; AE5T-10849-NC 2010 2.5L VIN A 8th digit AT; AE5T-10849-RC 2010 non-hybrid 3.0L and 3.5L AT; AE5T-10849-TC 2010 non-hybrid 2.5L MT; BE5T-10849-AB THU AD 11 12 hybrid; BE5T-10849-CA 11 non-hybrid 2.5L AT; BE5T-10849-CD 11 12 2.5L VIN A 8th digit AT; BE5T-10849-CD non-hybrid 11 12 2.5L AT; BE5T-10849-DA thru DC 11 non-hybrid KPH 2.5L AT; BE5T-10849-DD 11 12 non-hybrid KPH 2.5L AT; BE5T-10849-GD 11 12 3.0L AT; DS7T-10849-AA thru AH 13. 8M2T-10849-DD 2010; 95VW-10849-BA Bj.1996 2.0 Cockpit D679; 95VW-10849-BB (WGR) 95-2000; 95VW-10849-BE; 95VW-10849-BJ; 95VW-10849-DB (WGR) 1.9 TDI; 95VW-10849-DC Diesel; 95VW-10849-FE; YM21-10849-ARC; YM21-10849-ATE II 1.9TDi. 3S5T-10849-AE Bj.2004 D552; 3S5T-10849-AG; 3S5T-10849-CG Bj.2006 Cockpit D686; 3S5T-10849-GG 1 3l bj06; 97KB-10849-AE 1 3 44 KW 60 PS 09.96-11.2008 RBT; 97KB-10849-AF; 97KB-10849-AG 1 3 44 KW 60 PS 09.96-11.2008 RBT; 97KB-10849-AG 1.3l Bj.97; 97KB-10849-AG Cockpit Bj.99; 97KG-10849-AE 1 3 37 KW 50 PS 09.96-10.02 RBT; Y55F-10849-LC; YS5F-10848-AA RBT 1 3i 2006; YS5F-10849-AB 1 3 44 KW 60 PS 09.96-11.2008 RBT; YS5F-10849-LA 1 3 44kw Bj.1999; YS5F-10849-LB 1998. 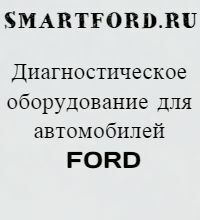 2012 2.0 TDCI 8V4T-10849-HL; C-Max Focus diesel 8V4T-10849-LH; Focus C-max 8U4T-10849-LF diesel cockpit. Aviator 04 05 4C5T-10849-AE; White Oak 2005 5F2Z-10849-AA. 2.3 16V 5L8T-10849-DJ; 3.0 V6 2001 YL8F-10849-FL. Mountaineer 04 05 4L2T-10849-JG; Sable Taurus 2003 3F1T-10849-EA. 1S7F-10849-BH MK3 UK; 1S7F-10849-EJ 1S7F-10849-EJ III (3) MK3; 1S7F-10849-GB Diesel 2000 A700; 1S7F-10849-GE 2 0 66 KW 90 PS Diesel III (3) Kombi BWY; 1S7F-10849-JE 2 0 85 KW 115 PS Diesel III (3) Kombi BWY; 2S7F-10849-NB cockpit automatik III (3); 3S7T-10849-DD Bj.05 Cockpit; 3S7T-10849-DE 2 0 107 KW 146 PS III (3) Kombi BWY; 3S7T-10849-EC 2003; 3S7T-10849-EE 3S7T-10849-EE III (3) MK3; 3S7T-10849-EF III (3); 3S7T-10849-GC diesel; 3S7T-10849-JC 2 0 96 KW 130 PS Diesel III (3) Kombi BWY; 3S7T-10849-JE diesel cockpit III (3); 3S7T-10849-KC 3S7T-10849-KC III (3) MK3; 3S7T-10849-KD 3S7T-10849-KD III (3) MK3; 5S7T-10849-HA 5S7T-10849-HA III (3) MK3; 6M2T-10849-GK C-max Focus; 8M2T-10849-VA MK4 S-max Galaxy; 8M2T-10849-VC Bj.2008 Diesel D532; 8M2T-10849-XC Bj.2009 Diesel US; 93-96 93BB-10849-NF I (1); 93-96 93BB-10849-RE I (1); 93BB-10849-CEB; 93BB-10849-RE; 93BB-10849-VE; 93FB-10849-RE; 95AB-10849-TB Diesel; 95BB-10849-AB; 95BB-10849-RB (1514M); 96BB-10849-TB diesel cockpit; 97BP-10849-VF 97 V6; 98BB-10849-ETB Diesel; AM2T-10849-VC diesel; Bj.93-96 93BB-10849-CEA I (1); Bj.93-96 93BB-10849-RE I (1); Bj.93-96 95BB-10849-RB I (1); BS7T-10849-XH cockpit C-Max; 93BB-10849-CEA 1 6 66 KW 90 PS 02.93-2008.9; 3S7T-10849-AE 1 8 92 KW 125 PS III (3) Kombi BWY; 3S7T-10849-FC 1 8 92 KW 125 PS III (3) STH B4Y; 1S7F-10849-AH 1S7F-10849-AH /11-2007/2008 145/170 2.0L; 1S7F-10849-HE MK3 diesel 2.0 TDDI TDCI; 3S7T-10849-GD III (3) KOMBI (BWY) 2.0 TDCI; 98BB-10849-ERB 2 Ghia 2 0; 3S7T-10849-JD cockpit mk3 3; 1S7F-10849-AJ 3 1.8 16V; 93BB-10849-CDC MK1 1.8i LX AUTO /93-97; 1S7F-10849-GF III (3) KOMBI (BWY) 2.0 16V TDDI; 3S7T-10849-KE MK3 2.0 tdci; 1S7F-10849-DE 2.5 Bj.2000 A671; 95BB-10849-VC 2.5; 1S7F-10849-DJ III (3) (B4Y) 2.5 V6 24V; 1S7F-10849-AH Visteon III (3) 1 8L 16v - KI; 1S7F-10849-DJ - Visteon III (3) BWY - 1 8L 92kw - KI; 5S7T-10849-EA 3 1.8; 95BB-10849-TB 1 8 td cockpit; 98BB-10849-ERC 2 Kombi 1 8 BNP; 98BB-10849-ETB II (2) KOMBI (BNP) 1.8 TD. 01-04 2R3F-10849-MK; 120 XR3F-10849-AD; 2004 V6 2R3Z-10849-AB; 2007-09 44K 7R33-10849-AA; 2007-2009 7R3Z-10849-CB; 99 2000 01 02 03 04 120 XR3F-10849-AD. KI 96FB-10849-EF 1 7L; 96FB-10849-EE; 96FB-10849-EF; 97-02 1 7L 92KW 96FB-10849-ED; ECT 96FB-10849-EE 1 7 92 KW 125 PS 03.97-2006.02. 4L54-10849-AH 2004; 4L54-10849-GJ 2007-2008; 7L54-10849-AH 2007 (before 11-06); 7L54-10849-AK 2007 2008 2009; 8L54-10849-AD 06 82K; AL54-10849-AC 2010 XL 2.3L AT; AL54-10849-CD 10-11; XL2F-10849-AB Explorer 98 99 2000; XL5F-10849-CA 99 2000; XL5F-10849-CB & F150 Pickup 1999. 3F1T-10849-03 FFV Platinum; 8T5T-10849-AP thru AY 2008; 8T5T-10849-CC 2008; 8T5T-10849-EA and EB 2008; 9T5T-10849-AA thru AD 09; XF1F-10849-AA TAURUS SHO 1999; YF1F-10849-CD TAURUS 2000 184K. 95 R95GB-10849-TB; 95GB-10849-LA II Bj.94-98; 95GB-10849-LB; 95GB-10849-RB II (2) 94-98. 87BB-10849-AA 87-93 DZM; 87BB-10849-EA 87-93 DZM; 87BB-10849-EB 87-93 DZM; 90BB-10849-FB 87-93 DZM. 1F1F-10849-B flex fuel; 3F1T-10849-HA (flex fuel); 8F9T-10849-CE thru CP 2008 2008 X Thru 12/2/2007; 8F9T-10849-GA 2008 X from 12/03/2007 SEL; AG1T-10849-JA 2010; AG1T-10849-LA 2010; 4F1T-10849-FM 05-2007; 5F1T-10849-LA 05-2007; 1F1F-10849-BC 2003; 3F1T-10849-EA Mercury Sable 2003; 8G1T-10849-CP thru CZ 2008 SEL; 8G1T-10849-GA thru GC 2008 SEL; 8G1T-10849-GD 2008 SEL; 8G1T-10849-JA and JB 2008; 8G1T-10849-LA 2008 SEL; 3F1T-10849-HA 2003 flex fuel; YF1F-10849-CD Sable 2000; XP1F-10849-EB Sable 1999; XF1F-10849-EB 99; BG1T-10849-AA thru AD 11; BG1T-10849-CE 11; AG1T-10849-GA thru GG 10; 1F1F-10849-BC Auto 01-03; 3F1T-10849-EA 03 flex fuel; 3F1T-10849-HA 03 flex fuel; FFV 3F1T-10849-EA 03; BG1T-10849-AF 11 12; BG1T-10849-CF 11 12; BG1T-10849-EF 11 12; 1F1F-10849-BC Sable 01 02; 8F9T-10849-G X from 12/03/2007 SEL; F6DF-10849-AD 98 97 96; 4F1T-10849-AM 05 2006 2007. 2T1F-10849-CG Connect 1 8 TDDi; 2T1F-10849-CH Connect TDCI; 2T1F-10849-DE Bj.05 Connect Cockpit; 6C1T-10849-CD diesel; 7T1T-10849-CA Connect 1 8 66 KW 90 PS Diesel 2006.02; 8C1T-10849-CC Bj2007 Diesel D551; 8C1T-10849-CD cockpit; 8C1T-10849-DD Bj.09 Diesel Cockpit; 8T1T-10849-CB Diesel Bj.2008 A582; 8T1T-10849-CC Connect Tourneo diesel; 95VB-10849-EF cockpit welle; 98BB-10849-ETB Mondeo; 98VB-10849-AAE Mondeo; 98VB-10849-TD Bj.1999 TD Cockpit D685; 98VB-10849-VE 94-2000; 9C1T-10849-CB Bj2011 Diesel D549; 9C1T-10849-CB Bj2011 Diesel D550; 9T11-10849-EA thru EC Connect 2010 11; 9T11-10849-EF thru EJ Connect 10; 9T1T-10849-AE Connect cockpit; 9T1T-10849-ED Connect 2010 2011; 9T1T-10849-EJ 2010-2012; VP7TF-10849-CA Connect diesel; YC1F-10849-EE 2 0TDCI 92KW 125PS; YC1F-10849-ND. 05 KPH GAS 5C2T-10849-AE thru AJ; 2010 AC2T-10849-ED; 2009 9C2T-10849-CN. 109KW F78P-10849-DC 95-99 3 0L; F48F-10849-GD. 3C3Z-10849-FA; 3C3Z-10849-HA; 3L2T-10849-AC; 3S4T-10849-EE; 4L1Z-10849-CA; 4W6Z-10849-AA; 5L2T-10849-AA; 5L2Z-10849-JA; 5L3Z-10849-AB; 5L8T-10849-AF; 5L8T-10849-AM; 5R3Z-10849-AB; 7L2T-10849-BE; 7L2Z-10849-BA; 7R33-10849-AC; 8C3T-10849-GG; 8F9Z-10849-E; 9L8Z-10849-C; AM5T-10849-JB; AM5T-14C026-BC; AM5T-14C226-BB; BC2Z-10849-AD; C5NN-10849-L; C7NN-10849-C; CM5T-10849-RA 2009; CR3Z-10849-CB; DJ5Z-10849-TA; E5MF-10849-CA; E5NN-10849-BA; E5NN-10849-DA; EHPN-10849-A; F4TF-10849-BD; YL3Z-10849-CA.